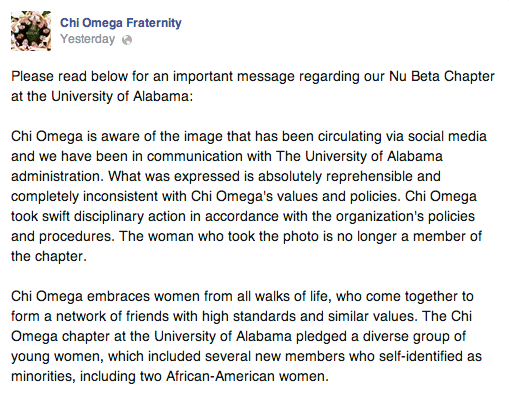 University of Alabama Chi Omega member kicked out after 'No Niggas!!!' snapchat. Home Scandal and Gossip University of Alabama Chi Omega member kicked out after ‘No Niggas!! !’ snapchat. 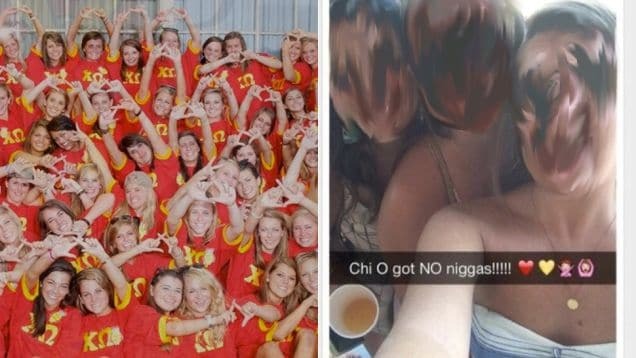 University of Alabama Chi Omega member kicked out after ‘No Niggas!! !’ snapchat. The ouster came over Bid Day this weekend, coinciding with Alabama’s first rush where black women were formally invited to join sororities. 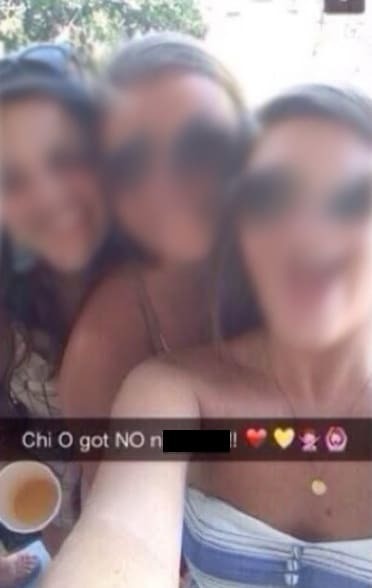 It would be determined despite the snapchat post, Chi O had in fact pledged two black women (along with 200 white girls). 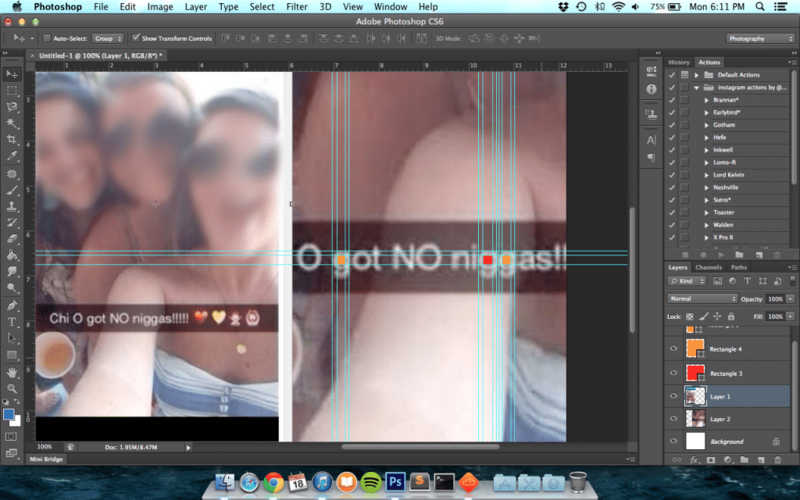 The offending Snapchat, included a selfie that featured a yellow heart emoji, a red heart emoji, the ‘no good’ girl emoji, and the ‘OMG girl’ emoji told Alabama officials. This year, twenty-one black women were invited to join in the festivities whilst 2,054 women pledged sororities in total. The university has told it is still investigating the Snapchat incident, which might suggest although the infracting girl has come to be kicked out of the sorority house she may also now come to be suspended or asked to leave University of Alabama as well. Gawker adds that when it was first revealed last year that Alabama sororities were systematically blocking black women from joining them, undergrads blamed their alumnae, claiming that this older, racist cohort instructed them to do so. That said this weekend’s incident undermines the above claim, belying the notion that racism is an institutionalized point of view amongst students, although one can’t help but wonder how much the university helps indemnify such ethos?